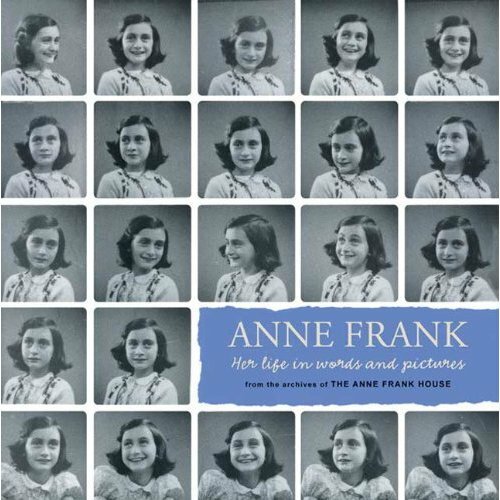 Anne Frank: Her Life in Words and Pictures from the Archives of the Anne Frank House by Menno Metselaar and Ruud van der Rol, translated by Arnold J. Pomerans was chosen as a Sydney Taylor Honor book for Older Readers. Anne Frank is an iconic figure in Jewish history. Millions of young people have read her diary and her words have provided insights about WWII and the Holocaust that no other text can provide. 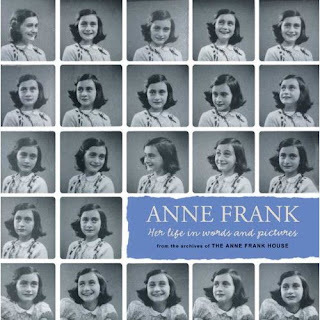 Anne Frank – Her Life in Pictures and Words is an outstanding accompaniment to The Diary of Ann Frank. With never before seen photos, the bits and pieces of Ann’s life are reconstructed like a jigsaw puzzle, offering readers an up close view of Anne’s life before and during the war. Follow-up about Anne, her family and friends bring Anne’s tragic story full circle. The book also described the process of bringing the diary to life through the eyes of Anne’s father, the only surviving family member. I am pleased to introduce the co-author of Anne Frank – Her Life in Words and Pictures, Menno Metselaar who spoke with me about the Anne Frank book as well as other works produced by the Anne Frank House. Menno is the Senior Project Developer in the Department of Education and Public Presentations of the Anne Frank House. The Anne Frank House was founded on May 3, 1957. Three years later, the museum opened its doors. Besides managing the museum, the Anne Frank House develops educational products and activities to promote tolerance and mutual respect in society. Anne Frank Her Life in Words and Pictures is a unique collection of personal photos and items. Can you tell me how you were able to collect all the materials to make this book come to life? We are very fortunate that Otto Frank was a passionate photographer and that the photo albums of the Frank family survived. Another thing is that the Frank family not only wrote a lot of letters, but also kept them. We really have to count ourselves extremely lucky that we have such an important and vast and unique collection to work with for our educational publications, websites and exhibitions. Especially if you keep in mind that we only have a handful of photographs and documents related to the Van Pels family, which by the way is really unfortunate. What were some of the challenges you faced when researching Anne Frank? Our main challenge is and will always be to find new ways to present Anne's story and the historical context to new generations. As we move forward in time this challenge will become bigger and bigger, as young people will have less and less 'automatic links' to that period in history through their own family members or family history. A Family Secret/The Search – Sydney Taylor Notable books for 2010 - present stories about the Holocaust in a graphic novel format. Did Eric Heuvel submit the completed project to you or was it a collaboration? No, the scripts, both of A Family Secret and of The Search were the result of a close cooperation between the Anne Frank House and Eric Heuvel, and in both cases there were a lot of other natonal and international experts involved to see to it that the historical details were correct. Did you think this genre would fill a unique niche? No, as a matter of fact we were hesitant at the beginning. Is a 'comic book' about such a difficult and sensitive subject such a good idea? We had that feeling when we started with A Family Secret (about The Netherlands and World War II) and we had the same feeling when we started with The Search (about the Holocaust). We feared that readers would feel that it trivialized World War II and the Holocaust. But our fears were unfounded. Both books were very well received and are now widely used in schools. Teachers do appreciate the educational possibilities that these books and the accompanying educational materials offer. Menno – thank you for taking the time to talk about your work and all you do for the Anne Frank House. The Rabbi is Back in Town! In his colorful career on the Rocky Mountain frontier, Rabbi Harvey has matched wits with a variety of villains—most notably the sweet-faced “Bad Bubbe” Bloom, and the self-proclaimed genius “Big Milt” Wasserman. In this exciting new volume, these two formidable foes team up to try to rid the West of Rabbi Harvey once and for all. The key to their evil scheme: Bad Bubbe’s darling son, Rabbi “Wisdom Kid” Rubin, newly arrived from back East. He’s young. He’s clever. He’s eager to take Harvey’s place. But is he fast enough on the draw—the wisdom draw, that is—to take the town from Rabbi Harvey? The hilarious, action-packed plot draws on classic Jewish folktales, Talmudic teachings and the timeless wisdom of the wise men of Chelm. As always, Rabbi Harvey protects his town and delivers justice, wielding only the weapons of wisdom, wit and a bit of trickery. He also gets a bit of help from Abigail, the town’s quick-thinking school teacher—a woman, it appears, who just may have captured his heart. I was saddened today to hear of the passing of Sid Fleishman. Sid was a gifted writer and his contributions to children's literature will continue to enlighten generations of children. More importantly, Sid was a kind and generous man. I was so thrilled to have the opportunity to interview Sid. To honor him, I am re-posting the interview with a heavy heart. Sid, may your memory be a blessing. Last week at the Jewish Literature for Children conference in Los Angeles, I had the honor of sitting with Newbury author Sid Fleischman. I have read and admired Sid's work for many years, but never had the opportunity to meet him in person. Sid was charming, kind, and gracious enough to blog chat with me about his newest book, THE ENTERTAINER AND THE DYBBUK(Greenwillow), which won a Sydney Taylor Book Award for older readers. Both children and adults should read THE ENTERTAINER AND THE DYBBUK, a tribute to the children of the Holocaust. The story brings to life an important part history through the character of Avrom the dybbuk, who takes over the life of Great Freddie, a ventriloquist. The relationship that develops between the two characters is warm, touching, and surprisingly humorous. I'm thrilled to interview Sid about his latest work. The Entertainer and the Dybbuk is your first book about the Holocaust. What was the inspiration for the book? I think every Jewish novelist wants to deal with this most dramatic and disturbing event in our lives. But what can you say? Through the years my thoughts have returned again and again to the nightmare and in particular to the murder, beyond belief, of the 1 1/2 million Jewish children. It was only after I began thinking of a dybbuk as the illuminating character in a novel that I found a fresh way of dealing with the Holocaust. Do you have experience as a ventriloquist? None as a performer, though many of my magician friends do vent acts. It is, after all, a bit of magic to throw the voice. Still, when I was nine or ten, I saw an adv in a Johnson Smith catalogue of novelties (magic tricks, joke books, stage beards and makeup, etc.) offering Ventrillo, a device that allowed you to throw your voice into a trunk, and so forth. I believe the price was ten cents. Anyway, I sent for one and was disappointed to receive a rubber warbling device you put on your tongue -- the same device sold to make bird calls. My career as a ventriloquist or bird caller ended on the spot. But in writing the book, I talked over technical problems with friends who were pros. responded to this aspect of the story? Yes, even among Jews, I have found only spotty familiarity. But they respond immediately and with fascination when the dybbuk is explained. Kids, especially, to discover there is a well-defined Jewish ghost lurking about. From mail I have received so far, kids especially are enchanted with Avrom, the dybbuk in the novel, and particularly the ending when he tricks the villain into confessing. Of all the books you have written, do you have a favorite? Almost always the last book I have written, out of sheer relief to have gotten the story on paper. I'd have to say, the novel I find myself thinking about the most these days is The Entertainer and the Dybbuk. At other times the book that has pleased me the most is By the Great Horn Spoon! and more recently, ESCAPE! The Story of the Great Houdini. Impossible to pick an absolute favorite. Can we expect another book soon? Yes. THE TROUBLE BEGINS AT 8, a biography of Mark Twain, due out in May.Due in 2009,THE DREAM STEALER. I've been busy. Sid, we look forward to seeing you new books on the shelves. Thank you for all your contributions to children's literature. I know you will continue to inspire readers, writers, and librarians for years to come! If you have a dog or love a dog, you won’t want to miss Hachi: A Dog's Tale, now available on DVD. The remarkable true story about a dog named Hachiko took place in Japan in the 1920's but was updated to modern day America in this movie. Starring Richard Gere, this is a wonderful film for the family. Be sure to check out the preview at the end of the interview. I am excited to introduce Dean Schnider, the co-producer of Hachi: A Dog's Tale. Dean is the young visionary who sought to bring the story to the screen. His ambitions as a producer started at the age of 12 when he saw JAWS and read the quote by William James, "The best use of life is to spend it for something that outlasts life.” I’m pleased that Dean was able to chat with me about his experience as a producer of this special film. What drew you to the script of Hachi: A Dog's Tale? I was actually drawn to the story of Hachiko before the script. I heard about the famous dog who waited for 9 years for his master at the train station and thought it was the most powerful, simple and universal story of friendship, loyalty and love, that I thought it would make a great film. I, and the other producers, found a writer to adapt the story into a script and after several dozen versions of the script; we ultimately made the film we all wanted to make. What is a producer's creative process like? A producer is a visionary who gets excited by a story and dedicates his life to get that story told to millions of people. That story can be traced back to a book, an original idea, a remake of an old movie, a board game, a short story, a true story or anything at all for that matter. One person told me that being a producer is like getting punched in the face every day. The reason is, producers are always in an uphill battle to identify a great story, control and protect that story, find the ideal writer to scribe the tale and director to bring it to life. On top of that, there are daily actor issues, scheduling problems, budget restraints, legal concerns, hidden agendas and investors looking for a return. With so many moving parts, there are inevitably a series of daily problems which present themselves and it is typically up to the producer to solve them. Hence, it is the "Rocky" trait of determination, the ability to take a punch, and guts that is necessary to produce. What was the greatest challenge you faced in the creation of the movie? Every day was a challenge for the most part but the biggest challenge was ensuring that the story you wanted to tell from the beginning gets told. Because new writers come on the scene, a director has his vision, big actors have their comments and egos, other producers may see things differently, the financier has certain needs, the budget plays a role, the locations change things, all of which have an impact on the script and ultimately the story. So, from the beginning when I pitched the story to the production companies and studios to giving notes on the various cuts of the film, it was always a challenging game of give and take to ensure that the story is told to the audience and you don't cause a mutiny in doing so. Ultimately, it is a collaborative effort and when the team has the same vision, that is always the best foundation to build upon. Hachi has received terrific reviews worldwide. What do you think is the universal appeal of the story? The fact that the dog Hachi, is more than a dog. Hachi is symbolic of your dog, your pet, your best friend, your sibling, your mom, your ex-wife, and your boyfriend. I actually initially pitched the movie as E.T meets EIGHT BELOW. It is a timeless story of friendship and love and loyalty that is innate in all humans. The story of waiting for one's master for so many years and ultimately having an impact on the community is so powerful yet also so simple that it resonates with the young, the old, and every race, color and creed. The themes are universal and the fact that the story itself has been so popular for over 80 years in Japan and that it is taught to students around the world shows that there is lasting power and appeal to a story that speaks to us on a human level and makes us yearn for something greater in life. Dean, thanks so much for giving us insight into your creative process as a producer. Wishing you continued success! Fern Schumer Chapman - Is it Day or Night? Please welcome author Fern Schumer Chapman. Junior Library Guild has selected her new book, Is It Night or Day? (March 2010), as a spring title. In a starred review, Booklist called the work ''powerful and eloquent,'' adding, ''as with the best writing, the specifics about life as a young immigrant are universal.'' A prequel to Chapman's first book Motherland, the new book explores a little-known program which rescued some 1,200 youngsters from the Holocaust. Chapman's first book received honors including Barnes & Noble Discover Title, BookSense 76 pick. 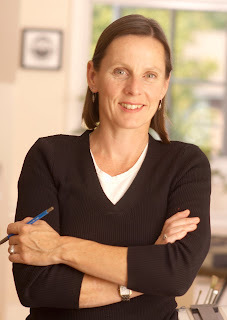 The Illinois Association of Teachers of English named Chapman the "Illinois Author of the Year 2004." Your new book, Is it Day or Night? is a prequel to Motherland. Can you share a bit about your creative process and how that affected the writing - and sequencing - of your books? Consequently, I wrote Is It Night or Day? Through the prism of one girl's story, readers of this book experience my mother’s bewildered efforts to assimilate in America, her struggle against constant feelings of abandonment and isolation, and the daunting work necessary to rebuild a life in the face of unspeakable loss -- challenges for every child immigrant. Both books are based on your mother's experiences. How much did you rely on her accounts and how much research did you do on your own? 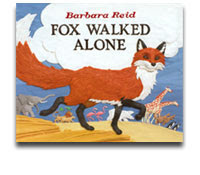 What was your inspiration for Fox Walked Alone? I find the possibilities for interpretation of the story or the ark almost limitless. One day I was daydreaming about what motivates animal behaviour in general, and the question flashed through my mind: whatever possessed the animals to get on the ark? I pictured individual animals all over the world, pricking up their ears and sniffing the breeze to receive the urgent message-get going! I settled on the Fox as the main character because he is a skeptic, and an outsider and had the most potential for growth during the story. Also his orange coat, white whiskers and elegant black stockings gave him star power! As an author/illustrator do you have a story idea first or do ideas come as visual images? As an author/illustrator my first ideas are generally images or pivotal scenes that are the inspiration for the book. After that, I write the manuscript to go with the little movie in my head. For Fox Walked Alone, as the story followed the animals on their journey I made sketches and storyboards of various characters and scenery. Once the manuscript is finished, I draw the final roughs. From the roughs I construct the plasticine art. The use of Plasticine in unusual for children's book illustrations. Can you explain the process and why you chose this medium for Fox Walked Alone? I have been creating picture book illustrations with plasticine for more that 25 years, and playing with it since I was a child. It is an extremely expressive medium, perfect for detail, and every book creates new ways of working with it and new problems to solve. And it is FUN! For Fox, it was a joy to create the desert colours, the changing sky and the textures and expressions of the animals, and especially creating the bird's eye view of the ruined city. I meet hundreds of fellow plasticine artists when I visit schools, and many students send me pictures of their artwork in this medium. I share some of their inspiring work on my website. The best thing about being a children's author/illustrator is visiting a library and finding one of my books sharing a shelf with books that I loved as a child, as well as new books by authors I admire. It's an honour and a thrill to be in such good company. I do most of my thinking while walking our dog, Ruby. She is a terrier, and some of her large ego shows up in the personality of Fox.